Raising a child with additional needs is financially expensive. Theres no getting away from it. Be it the additonal laundry costs, equipment, adaptations, loss of earnings, the costs keep increasing. Although the day to day running costs are increased there are a number of charities which can help with one off larger items. Family Fund have provided Dylan with his IPad twice. This is not greedy having 2 ipads. Due to their delicate technological nature and Dylans sensory seeking rough handling we are currently on our 6th Ipad. It’s true that the rate at which we are getting through them has slowed significantly as the years have gone by and Dylans matured but that’s still A LOT of technology! IPads have paid a large part of Dylans development. He naturally picked one up and found it easy to use. He has struggled with puzzles, blocks and other preschool toys but with the IPad he is a whizz! Dylan has a statement of educational need. A legal document which means that Dylans additional needs to be able to access education have been acknowleged and legally assistance has to be provided to meet this need. In real life those assessing the need provide the provision so if they don’t provide it as standard they won’t assess for it. ABA isn’t provided by our local authority so they don’t provide it, no matter how well it works! ABA isn’t expensive in the grand scale of special ed. It IS expensive however for a family with 3 children and only 1 adult working full time! 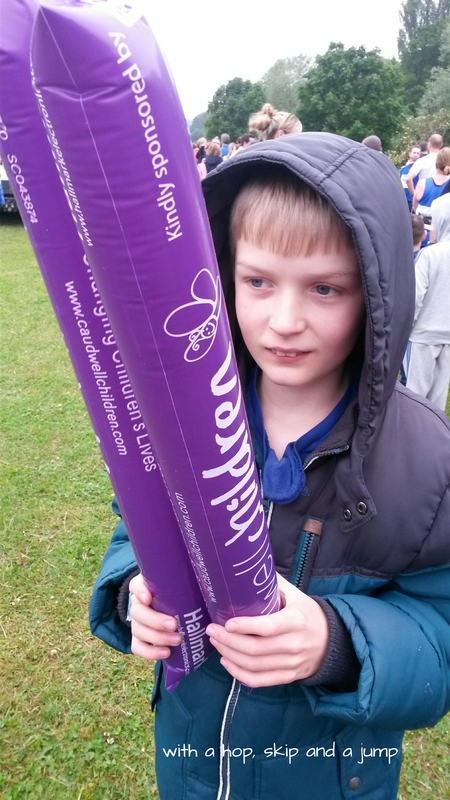 Caudwell Children help Dylan once a year with a grant to go towards his ABA consultancy fees. This means tested assistance is paid directly to Dylans consultant which reduces the pressure on us to provide his education AND pay for it fully. We are very grateful for the charities and the help they give Dylan.